So let us review the Scroll of Melchizedek, as found in the Dead Sea Scrolls, fragment 11Q13 2:2-10. Here is the translation from the Dead Sea Scrolls Study Edition; Garcia Martinez and Eibert J. C.; Tigchelaar, 1209. [...] And as for what he said: In [this] year of jubilee, [you shall return, each one, to his respective property, concerning it he said: Th]is is [the manner of the release:] every creditor shall release what he lent [to his neighbor. He shall not coerce his neighbor or his brother, for it has been proclaimed] a release for ELOHIYM. Its interpretation] for the last days refers to the captives, who [...] and whose teachers have been hidden and kept secret, and from the inheritance of Melchizedek, fo[r ...] and they are the inherita[nce of Melchize]dek, who will make them return. And liberty will be proclaimed for them, to free them from [the debt of] all their iniquities. And this [wil]l [happen] in the first week of the jubilee which follows the ni[ne] jubilees. And the d[ay of aton]ement is the e[nd of] the tenth [ju]bile in which atonement shall be made for all the sons of [light and] for the men [of] the lot of Mel[chi]zedek. [...] over [the]m ... [...] accor[ding to] a[ll] their [wor]ks, for it is the time for the year of grace of Melchizedek, and of [his] arm[ies, the nat]ion of the holy ones of ELOHIYM, of the rule of judgment, as is written about him in the songs of David, who said: ELOHIYM will [st]and in the assem[bly of YAH,] in the midst of the elohiym he judges. And about him he sai[d: And] above [it,] to the heights, return: YAH will judge the peoples . As for what he sa[id: How long will you] judge unjustly and show partia[lity] to the wicked? [Se]lah. [... Melchizedek, who will fr]e[e them from the ha]nd of Belial. And as for what he said: (Lev 25:9) You shall blow the shofar [in] all the [l]and of . . . So, exactly what is a Jubilee? And you shall number seven Shabbathoth of years unto you, seven times seven years; and the space of the seven Shabbathoth of years shall be unto you forty and nine years. 9 Then shall you cause the shofar of the jubilee to sound on the tenth day of the seventh month, in Yom Kippuriym shall ye make the shofar sound throughout all your land. 10 And ye shall hallow את eth the fiftieth year, and proclaim liberty throughout all the land unto all the inhabitants thereof: it shall be a jubilee unto you; and ye shall return every man unto his possession, and ye shall return every man unto his family. 11 A jubilee shall that fiftieth year be unto you: ye shall not sow, neither reap that את eth-which grows of itself in it, nor gather the grapes in it of את eth-your vine undressed. 12 For it is the jubilee; it shall be holy unto you: ye shall eat את eth-the increase thereof out of the field. 13 In the year of this jubilee ye shall return every man unto his possession. 14 And if you sell ought unto your neighbour, or buy ought of your neighbour's hand, ye shall not oppress את eth-one another: 15 According to the number of years after the jubilee you shall buy of your neighbour, and according unto the number of years of the fruits he shall sell unto you: 16 According to the multitude of years you shall increase the price thereof, and according to the fewness of years you shall diminish the price of it: for according to the number of the years of the fruits he sells unto you. 17 Ye shall not therefore oppress את eth-one another; but you shall fear your ELOHIYM: for I am YAHUAH ELOHAYKEM. AND after this Torah I made known to you the days of the Shabbathoth in the desert of Ciynai, which is between Eylim and Ciynai. 2 And I told you of the Shabbathoth of the land on Mount Ciynai, and I told you of the jubilee years in the Shabbathoth of years: but the year thereof have I not told you till ye enter the land which ye are to possess. Mosheh is telling us that the year that the house of Yisra’el (Yashar’el) enters into the adamah qodesh (holy land) is the year of Jubilee. Further, he goes on to tell us that in fact they will enter the adamah qodesh on the 1st day of the 50th Jubilee. And the land also shall guard its Shabbathoth while they dwell upon it, and they shall know the jubilee year. 4 Wherefore I have ordained for you the year weeks and the years and the jubilees: there are forty nine jubilees from the days of Adam until this day, and one week and two years: and there are yet forty years to come for learning the commandments of YAHUAH, until they pass over into the land of Kena`an, crossing the Yarden to the west. 49 Jubilees, + 9 years, + 40 years = 49 Jubilees, 49 years. Then they pass into the adamah qodesh on the 1st day of the 50th Jubilee. There is a second witness to the dating that the house of Yisra’el crossed over the Yarden beginning on the first day of the first week of the first month of the fiftieth jubilee. However, it took 10 days for the whole of the house of Yisra’el to cross over the flooding Yarden, which was parted by the Ark of the Covenant. And the people came up out of Yarden on the tenth day of the first month, and encamped in Gilgal, in the east border of Yeriycho. Well, in terms of the Gregorian calendar, exactly when did this happen? AND it came to pass in the four hundred and eightieth year after the children of Yisra’el were come out of the land of Mitsrayim, in the fourth year of Shalomah's reign over Yisra’el, in the month Ziv, which is the second month that he began to build the house of YAHUAH. Now we see that the building project took seven years and six months. We take the position that David’s reign began in the year 1046 B.C., and he ruled for 40 years. Shalomah begin his reign in the year 1006, which means that he started construction in the year 1003 and finished the work in 996 B.C. The crossing occurred in year 1483 BC, which was the year 2500. The Seder Olam agrees with the calculation concerning the 50th Jubilee: Therefore the First Jubilee was counted when Caleb was 84 years old. This was in Hebrew year 2500. And the first Sabbatical year was counted 8 years earlier (1 year as the Jubilee year + 7 years for a full Sabbatical cycle), therefore this was in Hebrew year 2500-8= 2492. This indeed was at a time when Aaron was still alive and he performed the first celebrated Sabbatical year. But both he and Moses died before they could celebrate the first Jubilee year in 2500. And them that had escaped from the sword carried he away to Babel; where they were servants to him and his sons until the reign of the kingdom of Persia: 21 To fulfil the Word of YAHUAH by the mouth of Yirmeyahu, until the land had enjoyed את eth-her Shabbathoth: for as long as she lay desolate she kept Shabbath, to fulfil threescore and ten years. This tells us that the house of Yisra’el did not keep the seven year Shabbath – the Shemitah, although the land itself kept it. As a consequence, the land enjoyed the Shabbathoth to fulfil threescore and ten (70) years, each year for a seven year period, rending the conclusion that the Shemitah had been abandoned by Yisra’el as soon as they got their king. This gives us a 30 year reign for Sha’ul, beginning in 1076 BC. Consider, however, that the discussion concerning Sha'ul in Shemu’el Ri’shon does not include the duration of his reign. The Westcott & Hort texts make up a duration of 40 years, but the text does not say this. The closest we get to any duration is in Shemu’el Ri’shon 13. This doesn’t tell us much. However, is there reason to believe that Sha’ul reigned 30 years? If he did, then he began his reign the year David was born, which of course would make sense, since David was the age of Sha’ul’s children. Certainly, there is plenty of history regarding Sha’ul during the time he was king. You recall that David took Sha’ul’s place when he was thirty, and reigned for forty years. This calculation gives us a 490 year period from the beginning of Sha’ul’s reign to the destruction of the first temple. The second temple, having been completed on the 23rd day of Adar, in the calendar year 417 B.C., and having been destroyed on the 9th of Av in the calendar year 70 A.D., gives us a 487 ½ years of existence, 1 ½ years short of 490 years (i.e., seven sevens times 10). One needn’t wonder if the house of Yisra’el kept the Jubilee, because there is no record of them keeping such a thing in scripture, nor does Yocephus ever mention an historical keeping of the same. THE RUACH ADONAI YAHUAH is upon me; because YAHUAH has anointed me to preach the Besorah unto the meek; he has sent me to bind up the brokenhearted, to proclaim liberty to the captives, and the opening of the prison to them that are bound; 2 To proclaim the acceptable year of YAHUAH, and the day of vengeance of our ELOHIYM; to comfort all that mourn; 3 To appoint unto them that mourn in Tsiyon, to give unto them beauty for ashes, the oil of joy for mourning, the garment of praise for the ruach of heaviness; that they might be called oaks of righteousness, the planting of YAHUAH, that he might be glorified. Consider, however, that MASHIACH may have declared the year of Jubilee in the year 17 A.D. when he read from the Torah scroll, reading Yesha’yahu 61. 18 The RUACH ADONAI YAHUAH is upon me, because he has anointed me to preach the Besorah to the poor; he has sent me to heal the brokenhearted, to preach deliverance to the captives, and recovering of sight to the blind, to set at liberty them that are bruised, 19 To preach the acceptable year of YAHUAH. 20 And he closed the cepher, and he gave it again to the minister, and sat down. And the eyes of all them that were in the synagogue were fastened on him. Let us consider this from a practical view. MASHIACH, like his parents before him, was Torah observant, and the gospel account declares this, as he observed the Sabbath and all of the feasts, including Chanukah (Yahuchanon [John] 10:12 and Puriym (Yahuchanon [John] 5:12). 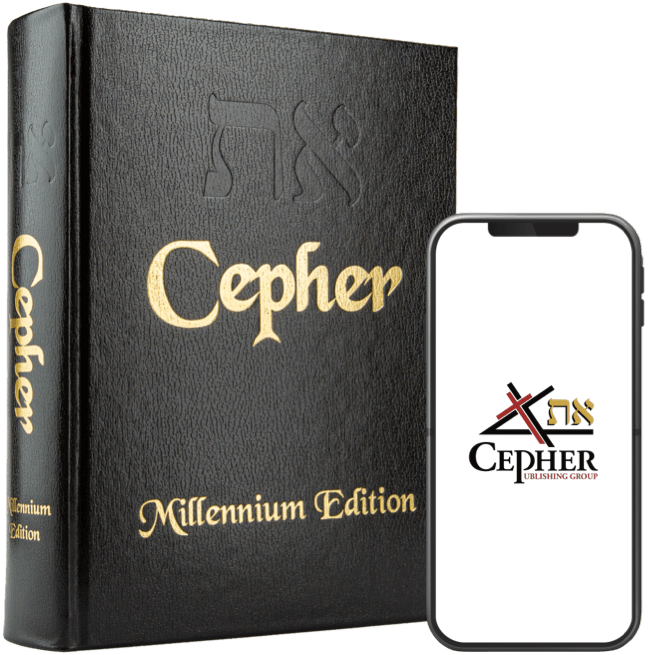 These forty days in the wilderness are consistent with the forty days of favor practiced traditionally by the observant, which begins on the first day of Elul (the sixth month) and runs until Yom Kippuriym, which is the 10th day of seventh month, i.e., Tishrei (Ethaniym). Recall that MASHIACH would have reckoned his 20th year on the 15th day of Tishrei in the year 15 A.D. If the forty days in the wilderness occurred in his 20th year, beginning on the 1st day of Elul, then he would have completed his forty days on Yom Kippuriym – the 10th day of Tishrei; on the Sabbath, when he declared the Jubilee. If his reading of the haftorah portion occurred only when he reached adulthood - being twenty years old, then this reading would have occurred on the 10th of Tishrei in the year 16 A.D., just 5 days before he would reckon his 21st year. This places the Jubilee year beginning in Aviv in the calendar year 17 A.D. (Note, that he would reckon his 30th year in 25 A.D.). The house of Yisra’el (Yashar’el) entered the adamah qodesh on the 1st day of the 50th Jubilee from the creation of Adam. 480 years later, Shalomah began the construction of the Beit Mikdash Ri’shon (First Temple), but the temple was completed 487 years after their entry into the land. It was exactly 490 years from the appointment of Sha’ul as king to the destruction of the First Temple. David was thirty years old when he began to reign and reigned for 40 years. The eternal throne of David would be established 30 jubilee years following the entrance of Yisra’el into the land, on the 1st day of 80th Jubilee, and would continue for 40 Jubilee years. MASHIACH declared the calendar year 17 (Biblical year 4000) to be a Jubilee. The Jubilee cycles are every 50 years; therefore, the Jubilee years are 17 and 67. And as for what he said: In this year of jubilee, you shall return, each one, to his respective property, concerning it he said: This is the manner of the release: every creditor shall release what he lent to his neighbor. He shall not coerce his neighbor or his brother, for it has been proclaimed a release for ELOHIYM. Its interpretation for the last days refers to the captives, who [...] and whose teachers have been hidden and kept secret, and from the inheritance of Melchizedek, for ...] and they are the inheritance of Melchizedek, who will make them return. And liberty will be proclaimed for them, to free them from the debt of all their iniquities. And this will happen in the first week of the jubilee which follows the nine jubilees. And the day of atonement is the end of the tenth jubilee in which atonement shall be made for all the sons of light and for the men of the lot of Melchizedek. 300 years after his death the first prediction would become true. The Mamluk Bahri dynasty began its reign over Yerushalayim in 1250 AD, some 33 years after the death of Judah ben Samuel. This dynasty held Yerushalayim until they were conquered by the Ottoman Turks in the year of 1517, three hundred years after the death of ben Shemuel. According to ben Shemuel, the Ottoman Turks would control the Levant and Yerushalayim for eight jubilees, which in a fifty year jubilee cycle, would be 400 years. A forty-nine year cycle would yield 392 years, and the prophecy would be complete in the year 1911. However, British military forces under the command of British Military General Edmund Allenby took Yerushalayim, and placed the city under British control on December 11th during Chanukah in 1917. If the jubilee cycle was a fifty year cycle (not 49) then ben Samuel’s prophecy was truthful. The truthfulness of the prophecy has more than one witness, as he predicted that “afterwards Jerusalem will become no-man’s land for one jubilee.” That portion of Yerushalayim that came under international control during the British Mandate was known as “no-man’s land,” not for forty-nine years, but fifty years, because fifty years after its capture by the British in 1917, the Israeli army captured the city of Yerushalayim in the Six Day War on June 17, 1967 - 50 years later, and after the 20th birthday of the nation of Israel. Isn’t it significant that Yerushalayim was returned to the control of the Jews for the first time since the destruction of the Temple in 70 AD? Given these prophecies and the five historical witnesses thereto: 1) the capture of Yerushalayim in the year 1517; 2) the capture by the Ottomans; 3) the holding of the city for 8 fifty-year jubilees; 4) the loss of the Ottomans and the city becoming no-man’s land; and 5) the city coming under control of the Jews, ben Samuel’s prediction gives strong witness to both the fifty year cycle and the years 17/67. Now, let us set this Jubilee in 1517 as our marker for the calculation in this Scroll. The Scroll specifies that liberty will be proclaimed for them, to free them from the debt of all their iniquities. And this will happen in the first week of the jubilee which follows the nine jubilees. The ninth Jubilee under this calculation ends on the last day of the scriptural year in 2017, which then begins the 10th Jubilee. For those of you who have read the Cepher Yovehelim (Book of Jubilees), you will recall that a week means a week of years, i.e., seven years. Therefore, the freeing from the debt of all their iniquities and the proclamation of liberty will begin in the year 2017 and continue through 2024, under this calculation. And the day of atonement is the end of the tenth jubilee in which atonement shall be made for all the sons of light and for the men of the lot of Melchizedek. I will leave the rest of this consideration to you.